Our Services are based on the Profitable Sustainability Solution (PSS). This holistic solution includes assessing your organization’s state of Sustainability then aligning a Sustainability strategy to your business goals and value proposition to stakeholders. Additionally the PSS includes developing execution and action plans that are achievable, includes mechanisms for measuring success, gaining industry recognition, and refinement of strategy on a continual basis. This PSS solution provides flexibility to re-align the strategy as business priorities shift and make Sustainabilitya part of the every-day way of doing things. This commitment will drive value over the long-term for investors, tenants and employees and fulfill your value proposition to these stakeholders in your business. Our turn-key services help your organization become a high performance operation by leveraging Sustainability to lower costs increase profits and gain competitive advantage. In Sustainability Implementation Framework Development, Corporate Sustainability Strategies (CSS) views the Global Real Estate Sustainability Benchmark (GRESB), Energy Star and Leadership and Environmental Energy Design (LEED) not just in terms of their iconic Energy Star Labels and associated logo or LEED certifications and plaque, but as frameworks for building in operating efficiency throughout an organization and portfolio. CSS has successfully used Leadership in Energy & Environmental Design for Existing Buildings Operations and Maintenance (LEED EBOM) for more than third party verification of green building attributes. 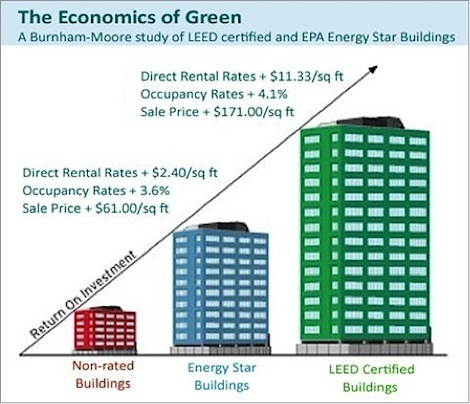 Rather uses LEED EBOM as an operations framework upon which to build in enhanced focus on operational metrics like air quality, temperature control, occupant comfort, in addition to water, waste and energy consumption and costs. Similarly, the CSS team has effectively used GRESB as a framework for broader environmental, social and governance (ESG) execution that not only improves GRESB performance but also improves overall strategic execution. All of these combine to drive not only improved financial performance but also improved environmental performance ‑ or the business case. CSS works with firms to design an actionable implementation model (Action Plan) based on real world action plans and benchmarking, to assess performance using Energy Star’s Portfolio Manager. Once action plans are refined at a company, fund and property level, implementation and performance measurement become ingrained into how the company executes. Throughout the Sustainability Strategy implementation, Key Performance Indicators (KPI’s), developed with our clients, provide for a continuous process improvement approach to improving both environmental and financial performance. The Department of Energy and Environmental Protection Agency’s Energy Star platform is a well recognized resource that CSS has successfully used to help firms cost effectively drive meaningful results and value creation. Starting with executive level commitment and building on the organization assessment, sustainability goals will be solidified and aligned with key business objectives. From these efforts a detailed Profitable Sustainability Solution (PSS) will be developed to drive sustainable value creation based on the below process. As part of the strategic sustainability process, plans for asset level, fund or portfolio level and organizational level are created and then refined. 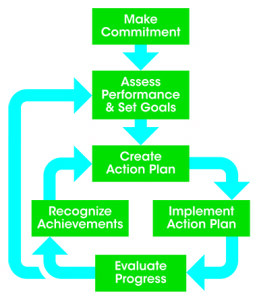 Then, the implementation framework, including key performance indicators, is developed. 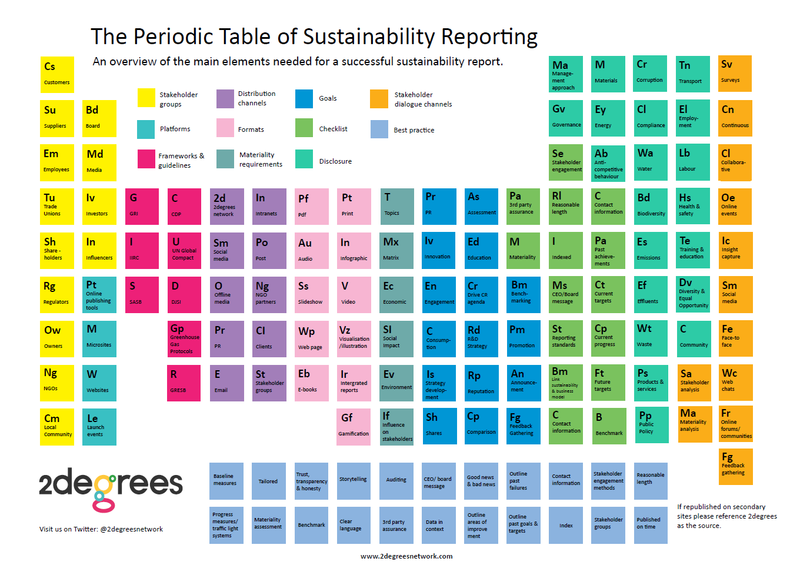 The PSS approach is to embed sustainability into the way an organization does business and thus ensure that results occur. Another important part of the execution process is to outline roles, responsibilities and accountability for execution. In the end, the PSS drives clear objectives in support of the business goals and vision, with measurable success criteria. CSS has a proven track record of helping clients achieve the many benefits of greater Sustainability Recognition. As just one example, CSS has helped one client achieve 13 Energy Star Partner of the Year recognitions from the US Environmental Protection Agency as well as multiple year, top 5 ranking and Green Star performance in the Global Real Estate Sustainability Benchmark (GRESB). The Office Building of the Year BOMA 360 Recognition serves to support and recognize leadership, and top performance. With this third party recognition and validation, tenants, investors and employees know that a given property, portfolio and or organization are driving value. All stakeholders also recognize firms can do well by doing good. Case studies are a terrific way to highlight sustainability accomplishments for many stakeholders: tenants, investors, partners, employees and the broader community. CSS can help organizations build compelling case studies that help firms reinforce the compelling business drivers for improved sustainability execution.